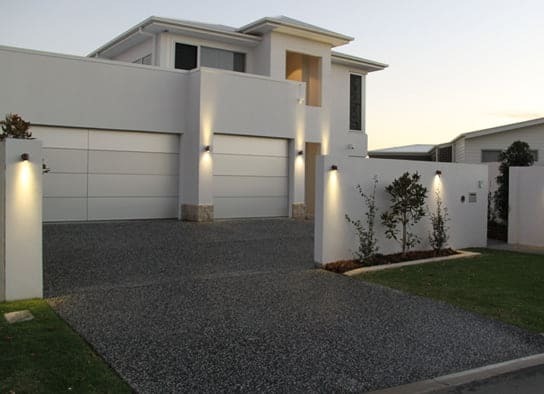 The team at Mcginn Concrete has been providing impressive concrete driveways in Brisbane, Gold Coast, Toowoomba and Sunshine Coast regions for over 25 years. 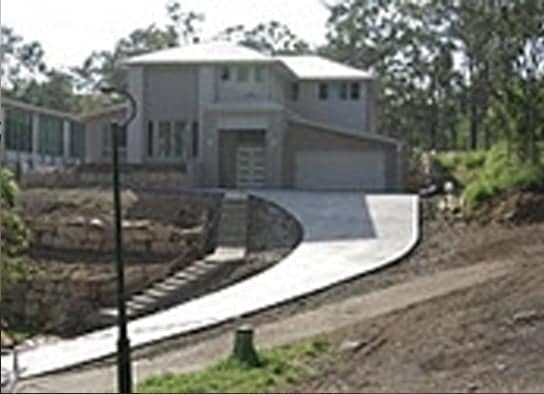 With so many different concrete driveway options available, we are able to cater to all styles and budgets. The cost of a concrete driveway can vary on a number of factors, however, this quick guide will help you identify the necessary information required for us to give you a quote on the cost of your new concrete driveway. Is the concrete driveway flat or sloping? Plain concrete or Decorative concrete finishes such as coloured concrete, stencils or exposed aggregate concrete. Please feel free to contact professionals at McGinn Concrete to supply a cost estimate of your new concrete driveway. The team would be happy to talk you through the different decorative concrete finishes and find the best option to enhance the appearance of your home. 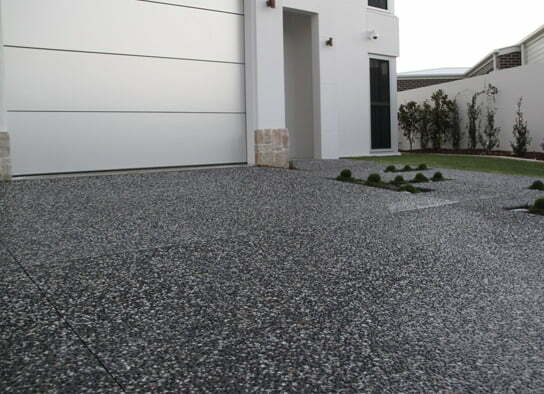 Residential concrete driveways are a common feature of any modern home as they are practical and durable. 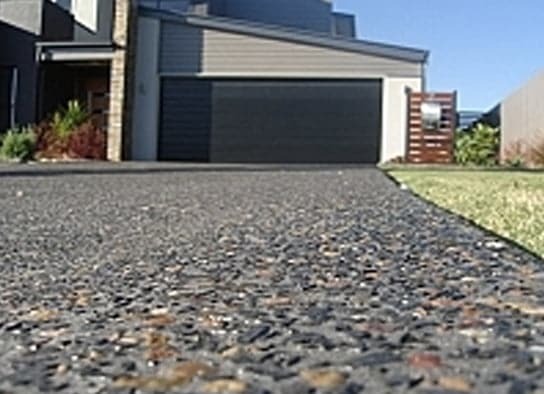 After some time however, a well-loved concrete driveway can result in some discolouration, cracking and scaling. Often the result of improper compacted sub-grade, low quality of original product and bad placement procedures and weather conditions. There are a number of options to repair and restore your concrete driveway back to its original condition (or better) including concrete engraving, concrete resurfacing and recolouring. See the list of options available below. Speak to the team at McGinn Concrete today for more information. Finishing style including brushing, sweeping and so on . Despite most colour hardeners being water resistant and long lasting, coloured driveways require a refresh from time to time to ensure they keep their colour and not fade too much.